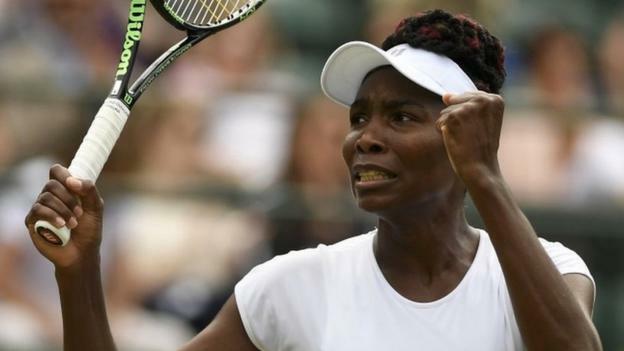 Venus Williams is still going strong at the age of 36, while Martina Navratilova won her final Grand Slam doubles titles aged 50Wimbledon on the BBCVenue: All England Club Dates: 27 June-10 JulyLive: Coverage across BBC TV, BBC Radio and BBC Sport website with more on Red Button, Connected TVs and app. Click for more detailsVenus Williams winning a sixth Wimbledon title following illness and a loss of form would be a Hollywood ending, says Martina Navratilova.Williams, 36, is the oldest Grand Slam semi-finalist since Navratilova lost in the 1994 Wimbledon final aged 37.The American meets Angelique Kerber in her first SW19 semi-final since 2009. "I didn't see her competing at this level again. I don't think she did," said 18-time Grand Slam singles champion Navratilova.Here BBC Sport analyst Navratilova discusses Venus' remarkable revival, the prospect of meeting sister Serena in an all-Williams final and how top players manage to maintain longevity.LADIES' SEMI-FINALS: ORDER OF PLAYCentre Court - play starts at 13:00 BSTSerena Williams USA  v Elena Vesnina RUSAngelique Kerber GER  v Venus Williams USA 'Venus' revival is astonishing'Many observers - including Navratilova - doubted the likelihood of Venus Williams ever competing for a Grand Slam title again.She dominated Wimbledon for almost a decade between 2000 and 2009, winning five titles and finishing runner-up in another three finals.But the seven-times Grand Slam champion had become a peripheral figure - until this year - after being diagnosed with Sjogren's syndrome, an illness that causes fatigue and joint pain, in 2011.She says she refused to consider retirement, despite her world ranking plummeting to 103 by the end of 2011. Now she is back in the top 10 and just one more victory away from a ninth Wimbledon final. "Her revival is astonishing," said 59-year-old Navratilova. "We all thought she was going to quit and then she comes back into the top 10. Now she is two matches away from winning her sixth Wimbledon title. "It is an amazing effort - most of all because of what she has gone through with this syndrome that is sapping her energy. "It is so hard managing your energy when you get into your 30s anyway. So to be dealing with this disorder on top of that, and competing at the highest level, is extraordinary. "Venus winning Wimbledon would be a Hollywood ending, no doubt. "Oldest women to reach a Grand Slam semi-final in the Open EraPlayerAgeGrand SlamResultBillie Jean King39 years, 223 days1983 WimbledonSemi-finalBillie Jean King38 years, 224 days1982 WimbledonSemi-finalMartina Navratilova37 years, 258 days1994 WimbledonRunner-upMartina Navratilova36 years, 259 days1993 WimbledonSemi-finalVenus Williams36 years, 21 days2016 Wimbledon??? 'Smiling Venus is lighting up Wimbledon'Navratilova became the oldest female Grand Slam champion when, aged 33 years and 263 days, she won Wimbledon in 1990 - a record that stood until Serena Williams' victory last year.The American won three major titles in her 30s, another record - alongside Margaret Court - until it was surpassed by current world number one Williams.But, with multiple Grand Slam titles in the trophy cabinet and millions of pounds of prize money in the bank, what keeps the likes of Navratilova and the Williams sisters going? "I still felt that I could play better tennis, was still learning about the sport and just the love of it," said Navratilova, who retired from the singles tour shortly after her 1994 final defeat by Conchita Martinez. "That's obviously coming through with Venus. When you see that smile on her face after winning, it lights up the whole court. "You know your time is running out - I knew 1994 was my last Wimbledon, Venus might still be here for many more years - but you don't have many more opportunities. "She's enjoying herself." Venus Williams, who made her Wimbledon singles debut in 1997, is appearing at the All England Club for the 19th time'You play smarter in your 30s'So the fire stays in the belly of these great champions, according to Navratilova. But there is one opponent they cannot beat - the ageing process. "Everything gets slower when you get older. 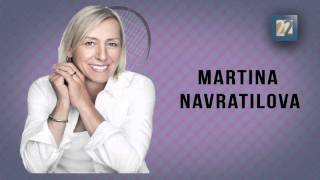 Your legs, your mind and it takes longer to get ready," Navratilova said. "So you have to get smarter. And that's what Venus is doing. "Against quarter-final opponent Yaroslava Shvedova she had 15 winners and 12 unforced errors. They are numbers of a veteran who knows what they are doing and when to pull the trigger. "Older players play safe within their ability. Venus is managing her energy and managing her winners/unforced errors percentage very well. "It is maturity and knowing what your limits are." Navratilova talks about Venus picking her moments - and this Hawk-Eye shows how she is doing it. She has only made 130 winners in her five matches, compared to Serena's 170, but a high percentage of Venus' winners are perfectly placed close to the lines.What makes a perfect Wimbledon champion?Another all-Williams final?Few would have predicted an all-Williams final at the start of the tournament. Now their first meeting in a Grand Slam final since Wimbledon 2009 is a possibility.Serena must beat unseeded Russian Elena Vesnina, who had never even reached a Grand Slam quarter-final until this week, while Australian Open champion Kerber stands in Venus' path. "It's hard to go against the Williams sisters both reaching the final because they have been there so many times," Navratilova said. "Serena is the huge favourite to win the whole thing when she gets this far in a Grand Slam. "She seems to get better and better as a tournament goes on and you cannot go against her. "Kerber, 28, has a 3-2 advantage over Venus Williams in their head-to-head record, although the American won their last meeting at the Montreal Open in 2014. "For Venus, a lot of balls will be coming back from Kerber, but it is Venus' match to win or lose," Navratilova said. "If she plays well enough she will definitely win the match. But Kerber is playing her best tennis since the Australian Open. "I'd say maybe a slight edge to Venus."